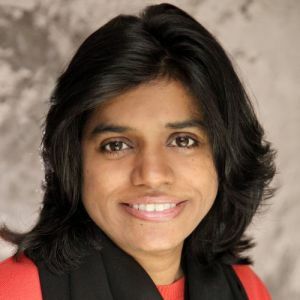 In February, 2017, Soumya Sriraman was appointed North America President, BritBox, a joint venture between BBC Worldwide, the commercial arm of BBC, and ITV, the UK's biggest commercial broadcaster. Sriraman is responsible for the overall strategy and operation of BritBox, with a focus on bringing the best British content to the service through acquisitions, licensing, co-productions, and key partnerships, with an emphasis on reach, engagement, and retention. Prior to her current role, Sriraman served as Executive Vice President of Franchise and Digital Enterprises at BBC Worldwide North America. In her role, she has expanded brand platforms, maximized distribution outlets, developed new product and grew the home entertainment and licensing businesses to record breaking heights; adding a new distribution line up of theatrical events for the key BBC brands including Doctor Who and BBC Earth. Prior to joining BBC Worldwide North America, Soumya was President and Chief Executive Officer for Palisades Tartan US and UK where, she spearheaded the release of independent and arthouse films, relaunched the Tartan brand, and increased sales against a declining market. Soumya was named among Home Media Magazine's 40 Under 40 executives and held positions at Warner Home Video and Universal Home Entertainment. Soumya was also the Senior Vice President of theatrical marketing at Universal Music and Video's filmed entertainment arm, Vivendi Entertainment. She is a member of the British American Business Association and is delighted to serve on the Advisory Board of the Bentonville Film Festival.